We are a reputed organization that is engaged in offering high quality Paint Filter Press. We are a coveted organization that is engaged in manufacturing, supplying, trading and exporting Color Filter Press Machine. Rigid in design, the offered machine is used for color filtration. These machines are manufactured with the help of quality tested components and cutting edge technology by highly experienced engineers. 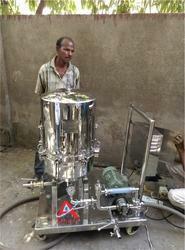 We offer this machine in different technical specifications as per the requirements of clients. 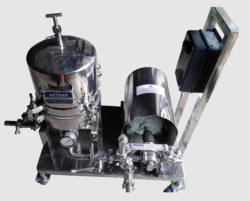 We are a preeminent organization that is engaged in manufacturing, supplying, trading and exporting Nerolac Paint Filtration Machine. 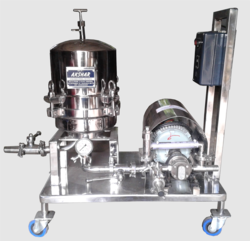 The filtration machines offered by us are manufactured using high quality equipment and components that are sourced from trusted and reliable vendors of the market. All these products are offered by us in various specifications to meet diverse requirements of customers. 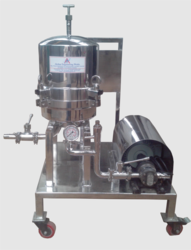 We are dedicatedly engaged in manufacturing, supplying, trading and exporting Varnish Filter Press Machine. These filter press machines are manufactured using high quality components that are sourced from reliable vendors of market. 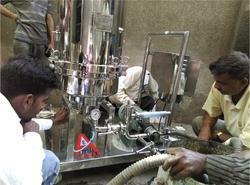 To meet diverse requirements of customers, we offer these machines in variegated specifications at nominal rates. We are offering Asian Paint Filter Press Machine to our client. 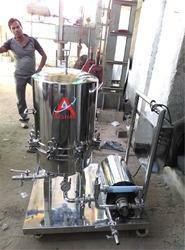 We are offering Paint Sparkler Zero Filter Press to our client. 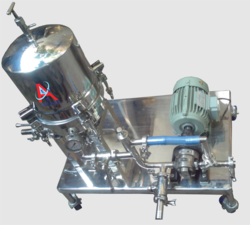 Looking for “Paint Filter Press Filtration Machines”?